I’ve said it before and I’ll say it again — I love old, worn doors. I was walking home with two armfuls of groceries when I spotted this one and gladly sprawled my goods all over the sidewalk to dig out my DSLR. I love them too, great shot! Beautiful shot amigo! Why is it all the best places on the planet seem to have doors like this. Kind of reminds me of Hoi An, Vietnam or even San Cristobal de las Casas, Mexico. LOL – I love old doors too! Must be a photographer thing. I love your colorful photos! I can see why you didn’t walk past this door without taking a photo. I never heard about your site until stumbling upon it yesterday. I love the way you write, you tell a great story. I’ve put you on my site in my favorite links section, I think you’re awesome. 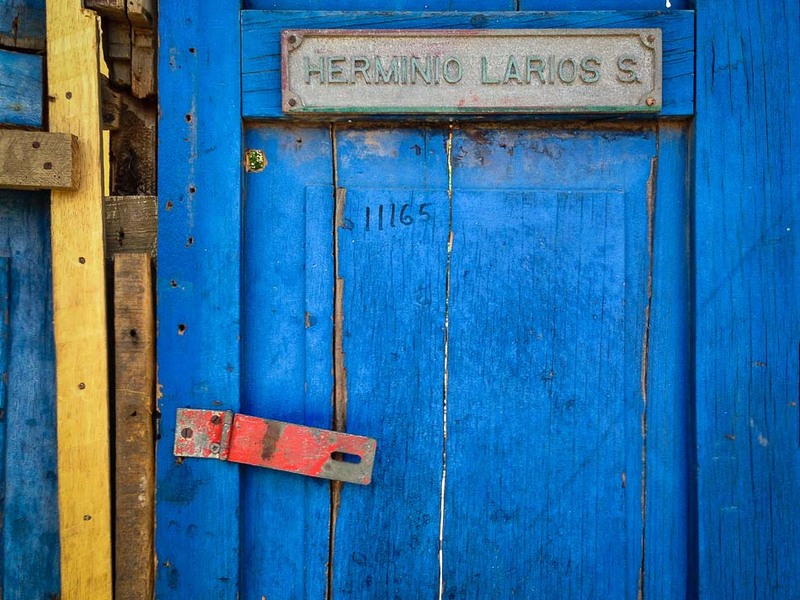 About great doors – have you been to Cartegena? Great place for old weathered doors. Good man for taking this pic! Great shot!